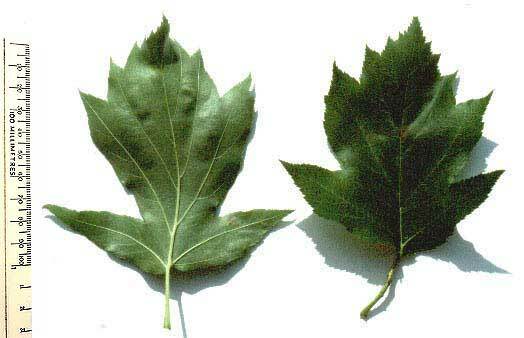 The leaves are alternate, 5-7 lobed, and 7 -10 cm long. They are shiny on both surfaces and almost hairless when old. The lobes at the bottom are almost at right angles to the 15-40 mm long leaf-stalk. 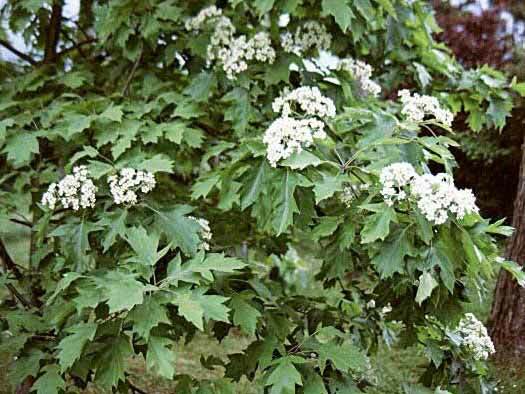 Wild Service-tree is a rare, deciduous, conical-shaped tree up to 25 m tall with ascending branches and a dark grey bark with shallow fissures. 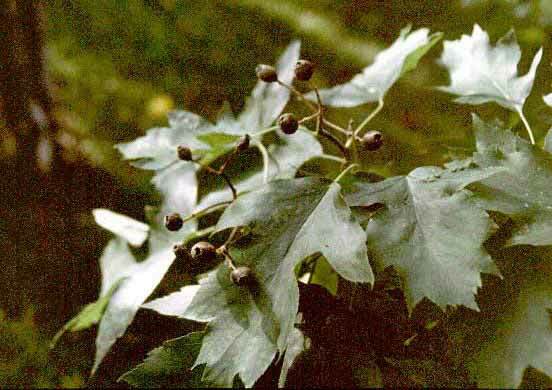 It is found scattered in oak-ash woods on clay and limestone. The creamy-white, 5-petalled flowers, 15 mm across, are arranged in branched, rounded clusters of 20 or more and open in May and June. Each flower has 2 styles joined halfway down. 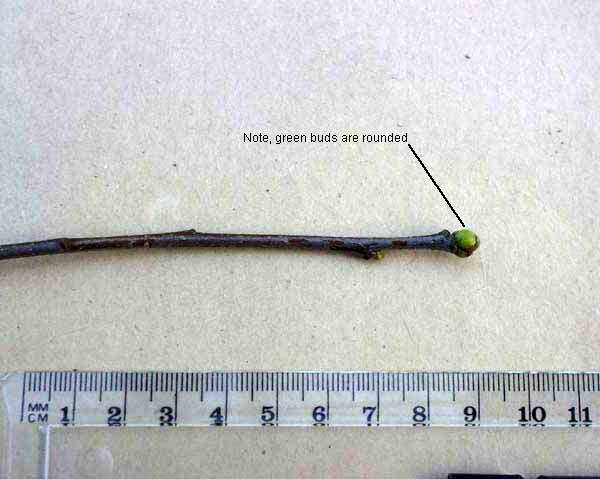 The rounded fruits, light brown and speckled with lenticels, about 15 mm long, are ripe in September. It is also called the Chequer Tree, because the bark peels off in rectangular pieces leaving a chequered effect. The berries used to be eaten as a cure for colic and dysentry. The Latin name 'torminalis' means good for colic.